Teddy Bears’ Picnic @ Sydney Therapy & Co.
Come and join us for a picnic ! 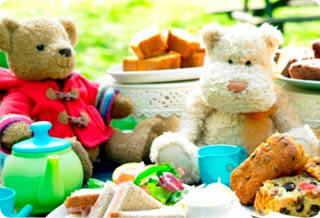 Teddy Bear Picnics are a great way to meet new friends and to have fun with your best friend. Through songs, stories and play parents can foster speech and language development as well as social skills with the safety of your furry friend. As a parent, it is also beneficial to connect with other families in our community. Our teddy bears picnic will include a chance for parents to meet each other and for the children to have fun. A variety of activities will be set for your child to explore at their leisure and to give parents helpful tips and strategies to use at home. So come on down and meet other families, have a fun morning out and speak to our friendly team! It’s a great opportunity to chat to a professional regarding what we offer. Everyone is welcome so tell your friends and come along. Please note: There is limited space and a flight of stairs so prams would need to be left outside.